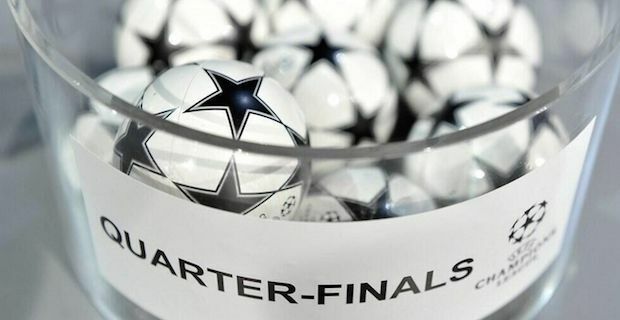 There were no easy draws in this years Champions League Quarter Final draw but of course some draws were better than others. That is certainly how Manchester United fans will feel this afternoon after the English Champions drew European Champions Bayern Munich. Munich are bidding to become the first team to defend their Champions League title in the modern era. David Moyes will have to pit his wits against Pep Guardiola with the first leg to take place at Old Trafford giving the Germans a big advantage. Chelsea will be slightly happier after drawing Paris Saint-Germain with the second leg crucially taking place at Stamford Bridge. The multi-millionaires from Paris will be no pushovers with stars like Zlatan Ibrahimovich, Edison Cavani and Thiago Silva in their ranks. However, given the other teams Chelsea could have faced, Jose Mourinho will be licking his lips at the prospect of taking on the French champions. The draw also threw up a mouth watering, all Spanish tie between Barcelona and high flying Atletico Madrid. In the final tie of the round, there is a repeat of last years semi-final pairing of Real Madrid and Borrusia Dortmund. Manchester United will be hoping that their victory over Greek champions Olympiakos on Wednesday can finally kick start their season. They will need to be at their very best though to shock Bayern over the two legs.